It has been a long four years since Nintendo released the last Zelda game. Twilight Princess for the Wii was the last next-generation title, and added greatly to the franchise’s scope. At the time, it used the Wiimote’s revolutionary new capabilities, although many argue it did not do so enough. It did, however, succeed in the area that many Zelda titles have in the past by introducing a rich and compelling story line, making it the most comprehensive Zelda game since Ocarina of Time. This year at E3, Nintendo revealed Skyward Sword, the much anticipated second Zelda title for the Wii. Legend of Zelda: Skyward Sword is fairly different from its Wii predecessor. First off, this game has a whole new look to it. It incorporates aspects of cell shading into the regular Twilight Princess graphics style. This means that objects and characters, like Link, have both a cartoonish look as well as a more realistic appearance, giving the game a more vibrant feel. From the screenshots, the game clearly demonstrates the graphical limitations of the Wii. Textures and object models are blurry or misshapen, and while environments are rich in color, they lack the next-gen feel that many would hope for from a game of this caliber. The news regarding aspects of game-play is somewhat more interesting. Wii MotionPlus will now be used for the combat system, meaning that Link’s sword will use one-to-one motion mapping. The direction the player swings the Wiimote is the same direction Link will swing his sword in the game, allowing for an interesting variety of new puzzles and combat scenarios. For example, as shown in the video demo by Nintendo’s Shigeru Miyamoto, users will have to swing the sword in certain directions in order to defeat a particular enemy. It will definitely be interesting to see how the game developers expand in this concept and introduce new, more challenging puzzles into gameplay. The nunchuk is now a significant aspect of combat as well, and also uses one-to-one mapping to simulate shield use. While the new system implemented by Nintendo is what many had been waiting for on the Wii, it was clear in the demo that it’s far from perfect. Unfortunately, the demo didn’t go as planned and suffered from “technical issues” which were blamed on WiFi interference from reporters using hotspots to liveblog the press conference, exposing a key flaw in the new system. Not much is known about the storyline and potential in-game items. The only new items that have been revealed are a whip that Link can use to draw other items in as well as a remote controlled beetle that can do the same thing. Twilight Princess boasted the most number of dungeons of any console Zelda game, so we’ll see if this new game has as many or perhaps even more in store. It’s clear, though, that Nintendo didn’t intend to reveal anything more than the new combat system and look of the game. From what was demoed at E3, the game definitely still has some kinks that need to be worked out, but I’m confident that Nintendo can fix them within the next year. Speaking as a veteran Zelda fan, it would have been nice to see one come out that is graphically on par with other next-generation games. The fact that Twilight Princess was originally a Game Cube port makes the wait for a real next-gen title seem like an eternity. I have confidence, however, in Nintendo’s ability to add a new dynamic to Skyward Sword with the new combat system, storyline and look. 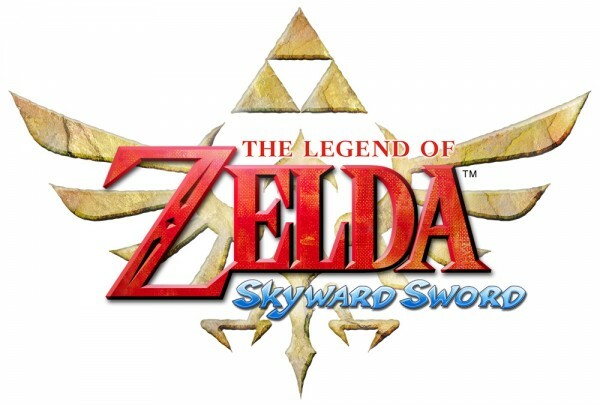 As of now, Skyward Sword is set for release sometime in 2011. Until then, fan boys and casual gamers have a lot to look forward to. I am a little disappointed to see that this article, which is supposed to inform readers, ignores the fact that the graphics in Skyward Sword are not yet complete. The author states that “the game clearly demonstrates the graphical limitations of the Wii. Textures and object models are blurry or misshapen, and while environments are rich in color, they lack the next-gen feel that many would hope for from a game of this caliber.” Considering that other Wii games have pulled off better graphics, and the fact that Nintendo has mentioned more than once that the game is still in development, perhaps the author ought to acknowledge that his analysis is of a work-in-progress and not a completed game.